S.M. Walker and N. Martin. 2010. 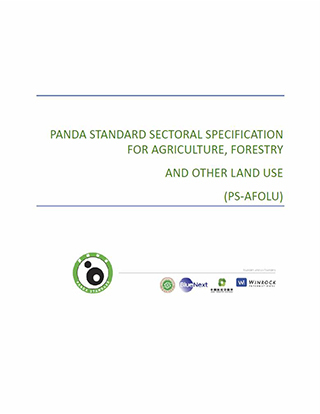 Sectoral Specification for Agriculture, Forestry and Other Land Use. Panda Standard of the People’s Republic of China. Support from ABD, BlueNext and CBEEX.